As I decided to go around exploring in Sogo, chanced upon this and decided to give it a try! .. I am not a big fan of puddings, but, this one is plain AWESOME! 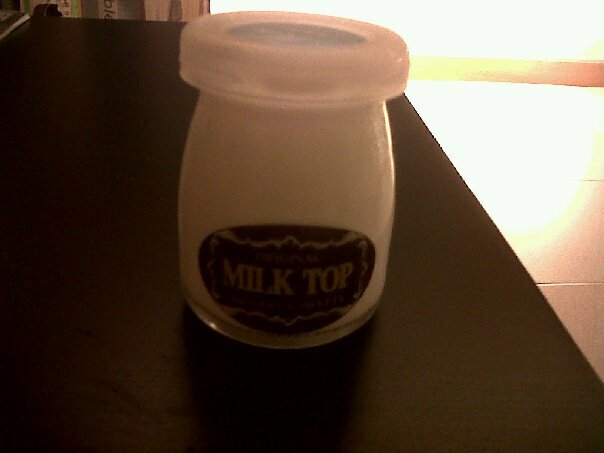 its so nice chilled and very jelly-ish milky texture! Posted on 07/04/2011 by ahballing	• This entry was posted in #Hits, @Hong Kong, Causeway Bay, Nibbles, Sweets and tagged #Hits, @Hong Kong, Causeway Bay, Milk Top, Sweets. Bookmark the permalink.